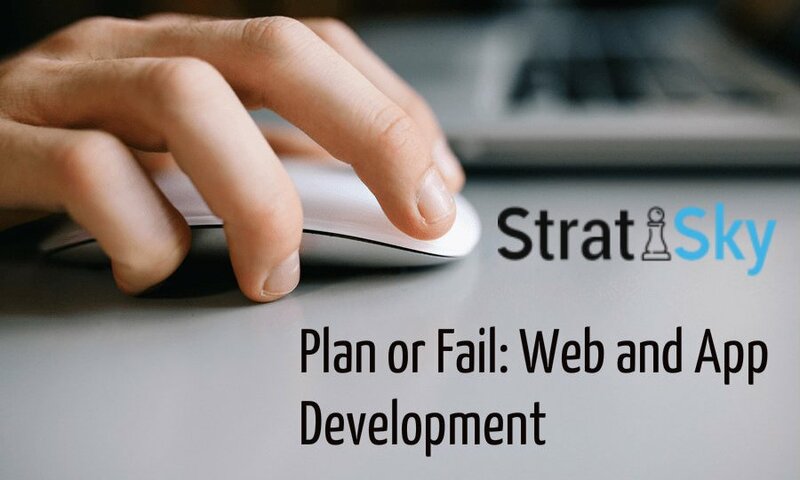 “He who fails to plan, plans to fail.” No place is this famous principle more true than in the areas of website construction and app development. The Internet is a virtual burial ground for ideas. Many businesses that invest in an online presence are virtually invisible. Despite grand plans and branding efforts, nobody finds them. SEO is mostly misused and misapplied and might as well stand for “soon entirely obsolete” rather than search engine optimization. Sadly, when visitors actually arrive at many of these pages they will click away quickly because the site doesn’t capture their interest instantly. Statistics overwhelmingly demonstrate that the old adage: “first impressions count the most” is an absolute fact online. In fact, first impressions are all you will get if you don’t capture a response; there will be no second impression. Interestingly enough, the word impression itself refers both to the response of the viewer and to the unique click on the page. When it comes to getting attention online you have to choose early between only two available options. Just as is the case in the old West, would you be quick or would you be dead? In truth, the most significant effort is to get people to view you with that first impression. You can have the most astonishing site and services, but if nobody sees it you have wasted your time and money. Once you have created a fact-based plan to get eyeballs on your project, you must focus on an impactful call to action before your viewer loses interest. This is the essential and basic one-two punch that should be at the core of all efforts. Without this combination of getting a viewer and then engaging him with an action, all other efforts are generally wasted. To come out on top with your web presence or app idea, you need highly focused case studies into your sector. Don’t fall for the nonsensical generalizations that certain simple fixes can universally hit the mark. In medical practice is quantum leaps removed in targeting from a roofer. E-commerce sites in different sectors require entirely different strategies. App development requires a sensitivity and precision in design that cannot be cookie-cuttered even with the most wishful thinking. It is entirely true that “success comes before work only in the dictionary”. So here’s a take away for you: fill out the form below and tell us about your business in your own words. We will show you some case studies that are highly successful in your industry or area of development. More importantly, we will explain what makes these models so successful and how you can learn from them to implement them to achieve the best possible results yourself.